Bobby Ray Simmons (born November 15, 1988 in Decatur, Georgia, USA), better known by his stage name B.o.B, is a Grammy Award-nominated American rapper, singer and producer signed to T.I. 's Grand Hustle Label and Atlantic Records. In 2007 he released his debut EP, Eastside, and has since released another EP, 12th Dimension, and five mixtapes. 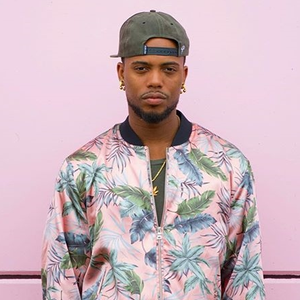 His debut album, B.o.B Presents The Adventures of Bobby Ray, was released in April 2010 and debuted at #1 on the Billboard 200.